Hidden storage in your home can be so useful, you can easily hide your valuables in it. See these 20 clever hidden storage ideas for inspiration. Hidden storage can be fun to use and make, it is not only a whimsical idea but also plays an important part in protecting items in your home. If you’re searching for some inspiration take a look at these clever hidden storage ideas, which include hidden stairway storage, hiding trash can in a tilt-open-door cabinet, bathroom storage case behind the mirror, hidden storage headboard and much more. Some of the ideas are products that you can purchase from most hardware stores or Wal-Mart, but most are things that you can do yourself to create a hideaway storage area in your home. 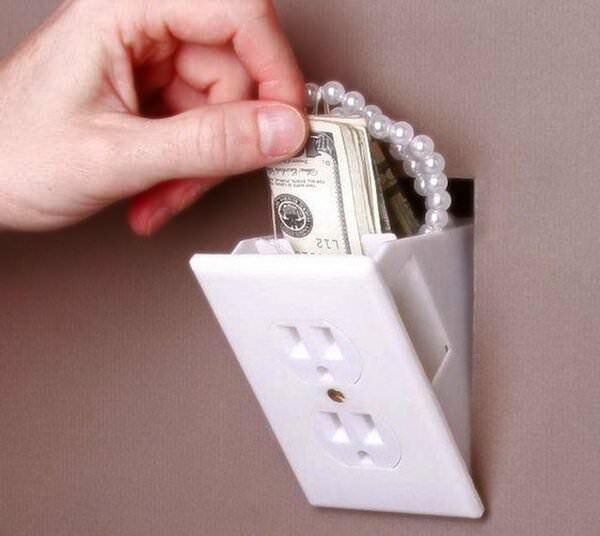 Hidden Outlet Wall Safe. It looks like an electrical outlet but it is a great place to hide your valuables. Check out more on it. Column-style corners on this kitchen island are more than just decorative. Opening the recessed panel with a push latch reveals hidden cookbook storage. Learn more on it. 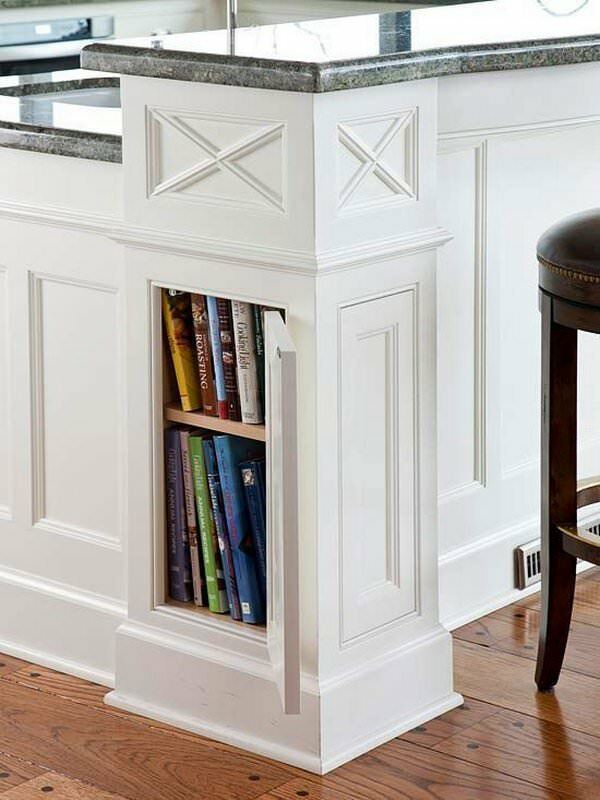 One of the cleverest hidden storage ideas. 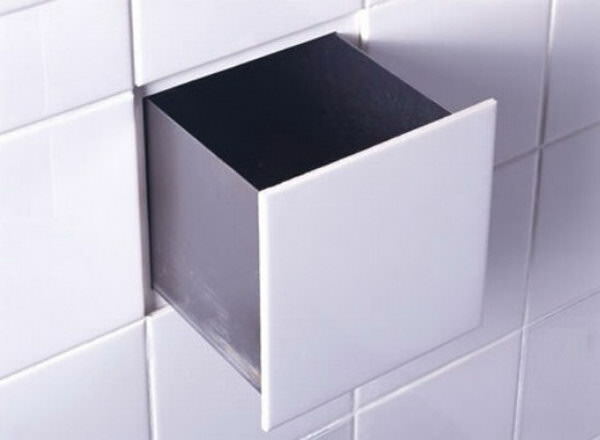 Create hidden storage in the bathroom by simply remove a tile or two and making a hole. A perfect place to hide valuables. Read more on it.